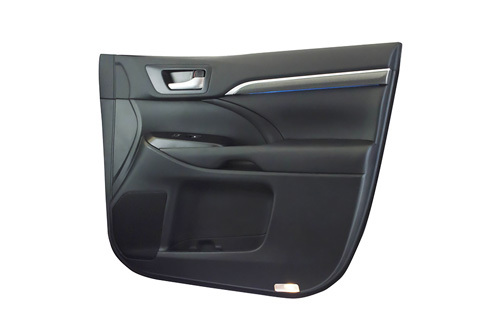 The door trim panels are key components in making up the interior space of a vehicle. The main materials used include kenaf, which grows year round and has excellent CO2 absorbing properties, and plant-derived plastic, making them environmentally friendly as well. These TBA-manufactured Door Trims were designed in North America. Sienna doors contain specialized salvage-minimizing french stitching on the ornament for improved craftsmanship and appearance. 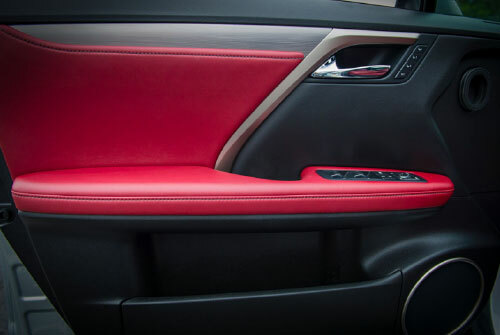 Use of premium materials showcase the abilities of Toyota Boshoku to design and manufacturing world class products. 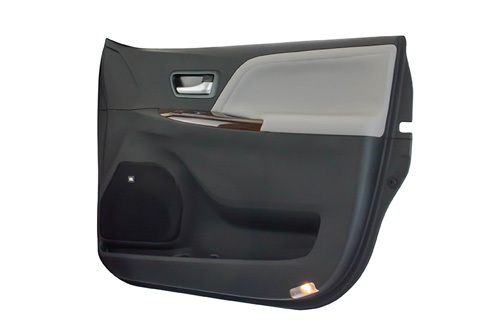 Lighting integrated into the door ornament provides both function as well as fashion. Highlander was first vehicle produced by Toyota Boshoku to utilize this technology.